Again, another easy recipe, with the added bonus that it can be used immediately. 1. Combine sugar and water, to make a syrup on a low heat in a double boiler or thermi (5 min, 50 deg, sp 2). 2. Add chopped vanilla beans and salt to syrup in blender (30 sec on high) or thermi (30 sec, sp 9). 3. Pour vanilla bean paste into jar. 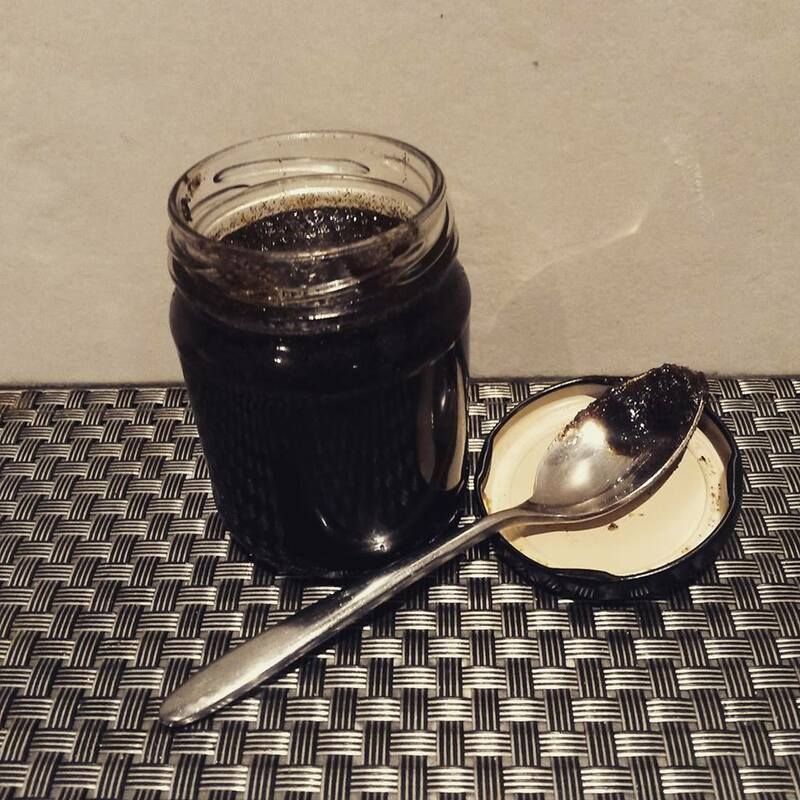 Cost comparison: This jar of vanilla bean paste (approx 200g) costs approx $7 for all ingredients. A quick google comparison of store bought premade vanilla bean paste alternatives is about 3 to 4 times the price ($22 – $28) , along with additives and thickeners too. Vanilla bean paste is also a great alternative to vanilla extract in raw treats where people are looking to avoid alcohol consumption that is used to make vanilla extract (e.g. for children). Vanilla Extract is such an easy pantry staple to make – the most difficult part is waiting 3 months for it to be ready to use. Can’t wait to use this in our baked goods, just need to hide it in our pantry to help pass the time quicker! 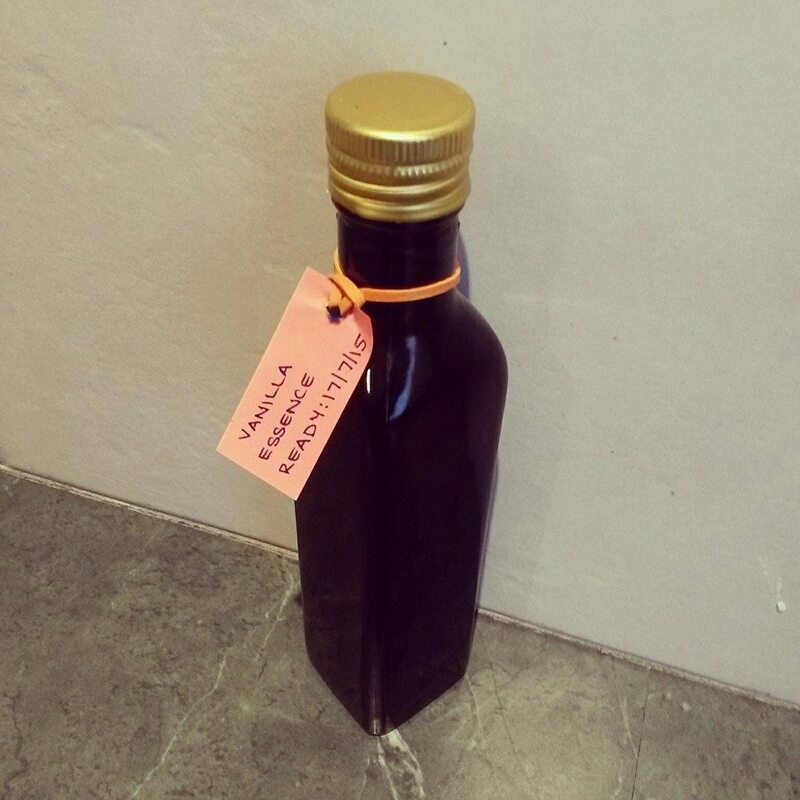 So many store bought alternatives have unwanted additives, corn syrup and thickeners just to name a few of the nasties, so why don’t you have a go at making your own vanilla essence too, you won’t be disappointed. Place alcohol and vanilla beans in bottle. Label bottle & leave in pantry for 3 months until ready to use. Hi there, I’m Kate and am starting this blog to share nourishing real food creations with you all. I tend to spend quite a bit of time in the kitchen tinkering about, it’s somewhere I enjoy being creative and having food projects constantly on the go. My passion for fuelling my body with nourishing real food has been a gradual process change over a number of years. I’m new to the blogging world, but am keen to share our food and lifestyle experiences to encourage health and wellbeing. I hope you enjoy joining us on our journey, and please feel free to comment with any feedback or questions you have.